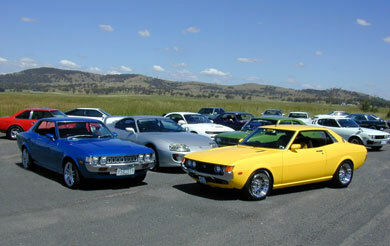 The Canberra Celica Group (CCG) is an automotive club based in Canberra, Australia run by Toyota Celica enthusiasts. Don't let our name discourage you, however. We are interested in meeting up with anyone with a Toyota whether it be a Camry or Corolla, Cressida or Celica. New or old. The club aims to organise as many Toyota owners as possible to go on club outings (the pub, the track, BBQs etc.) and to build a collective network of parts, knowledge, good mates and Toyota nuts of all sorts. We are a VERY SOCIAL group that just love our 'Yotas! !